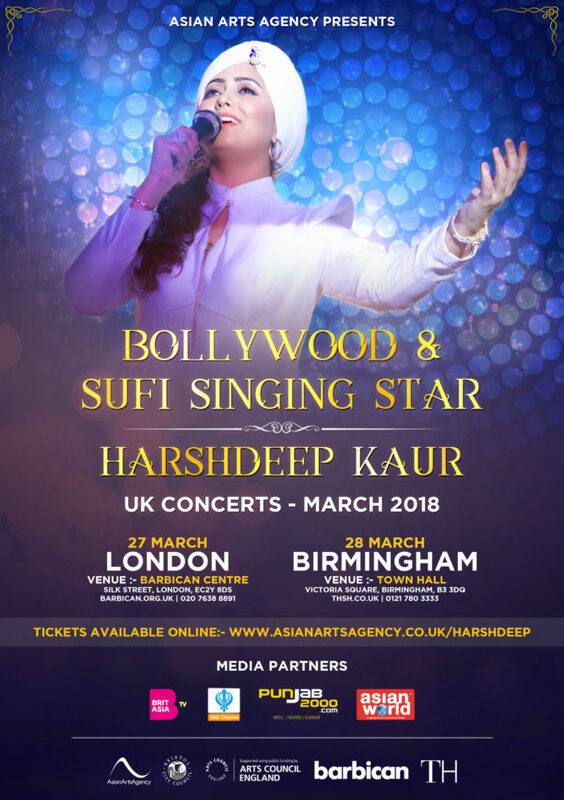 The brilliant Bollywood playback singer and Sufi singing sensation Harshdeep Kaur will be performing two very special concerts in the UK next weekend. Taking place at Barbican Centre (London) on March 27th and Town Hall Birmingham on March 28th, concertgoes can expect a night of brilliant music. 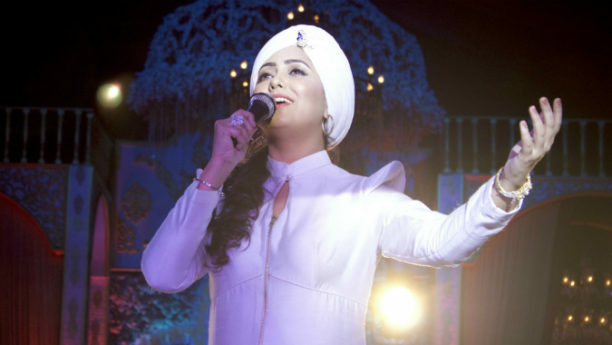 Known for her soulful songs and stunning voice, Harshdeep Kaur is one of the biggest Sufi music stars in the world. After becoming the first female to win two reality show singing titles in India, the Bollywood legend Amitabh Bachchan described Harshdeep as the ‘Queen of Sufi’. Harshdeep has established herself as a leading playback singer for Bollywood soundtracks, working with some of the leading directors in the industry, including A R Rahman, Pritam Chakroborty, Vishal-Shekhar and Salim Suleiman. Her beautiful rendition of ‘Ik Onkar’ under the direction of A R Rahman in Rang De Basanti brought her global recognition in 2006 and became one of the most popular ringtones worldwide. In 2010, Harshdeep was part of A R Rahman’s Jai Ho World Tour, where she got the opportunity to perform for global audiences. Harshdeep has performed on some of the leading Bollywood songs of the 21st century, with over 30 Bollywood super hits to her name, including ‘Katiya Karun’ from Rockstar, ‘Heer’ from Jab Tak Hai Jaan, ‘Bari Barsi’ from Band Baaja Baaraat, ‘Kabira’ from Yeh Jawani Hai Deewani, ‘Ik Onkar’ from Rang De Basanti and ‘Jugni’ from Cocktail. She is also one of the few Indian singers to have worked in Hollywood too. Her song R.I.P. for Oscar-winner Danny Boyle’s 127 Hours in 2010 was nominated for the Oscars and Golden Globe Awards. More recently, Harshdeep has been performing at prestigious concert venues all over the world and performed at the Manchester International Festival in 2017. These two dates in the UK will the first opportunity for UK fans to see her live since the Manchester International Festival in August 2017. Enjoy an evening of Sufi classics and Bollywood hits, as Harshdeep mesmerizes with her stunning voice, performing personal and audience favourites from her incredible career to date.